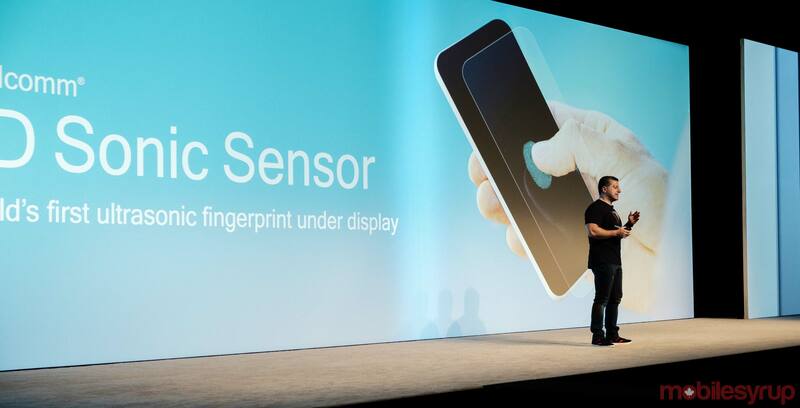 Qualcomm’s long-in-development ultrasonic in-display fingerprint sensor technology will arrive in consumer-facing devices starting in the first half of 2019, the company announced on the first day of its annual Snapdragon Tech Summit conference in Maui. Alex Katouzian, senior vice-president and general manager of mobile at Qualcomm, announced the new platform alongside the company’s new Snapdragon 855 chipset. In contrast to currently available optical in-display fingerprint sensors, such as the one that’s available in the OnePlus 6T, the company’s new 3D Sonic Sensor technology uses ultrasonic waves to capture and authenticate an individual’s fingerprint instead of a 2D image. As result, Qualcomm says the tech is capable of authenticating a fingerprint more quickly and accurately. It’s also more secure since it’s not using a simple 2D image. Lastly, a 3D Sonic Sensor is capable of reading and authenticating a fingerprint even when there are obstructions like dirt and oil on the fingerprint.